Steven Tyler flew into Maui late Thursday (3/24) night after taping last week’s memorable American Idol elimination show. During the show, Stevie Wonder surprised Tyler by singing “Happy Birthday” (as seen in this YouTube video), while the AI judge was presented with a Peter Max portrait and a cake bearing sparklers. Tyler, who Tweets — but not a lot — hit the social media site hard after the televised celebration: “IDOL WAS OUT OF THIS WORLD…WHAT AN INCREDIBLE NIGHT,” he said. Those who have followed Tyler’s career — as well as his plethora of new fans — felt the excitement as Steven shared his celebration — and his backstage photos with Stevie Wonder — via Twitter. “BIRTHDAY TOO…PINCH ME PLEASE,” Tyler said. The rock star/judge/artist then headed to the airport to catch a flight to Maui where he has been a frequent visitor, especially in the past two years. Tyler, who was being particularly tweetie, said: “HEY. IM WHEELS UP ON MY WAY TO BIRTHDAY IN HEAVIN & WATCH THE SUN COME UP ON A TRULY BLESSED CHILD OF GOD THAT STEVIE WONDER SANG HAPPY….” Darn, 140 characters. Steven landed safely in Kahului and spent Friday out of the public’s eye. He reportedly enjoys painting, jogging and the beach, among other things, when he’s on Maui. He also enjoys spending time in the quaint Upcountry town of Makawao and the bohemian North Shore gem Paia. 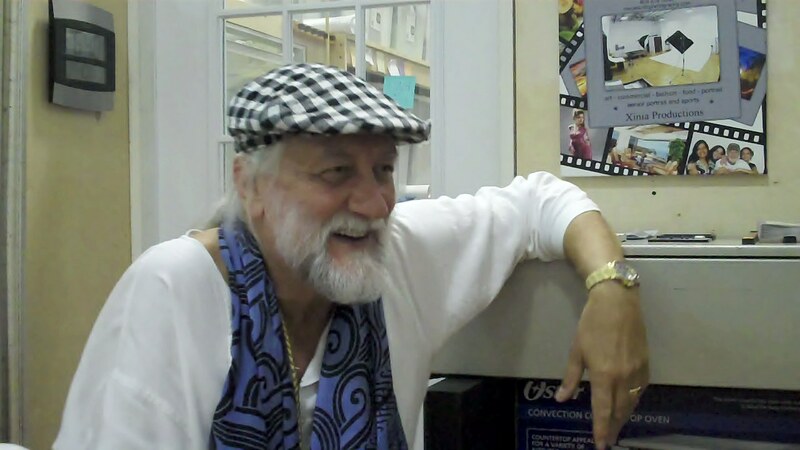 Saturday, his actual birthday, Steven browsed Makawao’s boutiques and galleries early in the day before his official birthday celebration got underway. That evening, Tyler’s plans reportedly included dinner at Mama’s Fish House in Paia with a small group of friends including Mick Fleetwood, who lives on the island when he’s not touring with Fleetwood Mac. Most people who live on Maui, try to respect local and visiting celebrities; we keep our distance, we don’t show up deliberately at restaurants if we know someone famous will be eating there and only occasionally we say hello if our paths cross. Steven’s birthday was no different. Maui Zan Tweeted him “Happy Birthday,” told him he would like the Moth show at Casanova Italian Restaurant in Makawao and wished him love, peace and happiness on his special day. Nice to meet you too Steven. Maui welcomes you and we are so glad you wrapped up your festivities with one last Tweet. 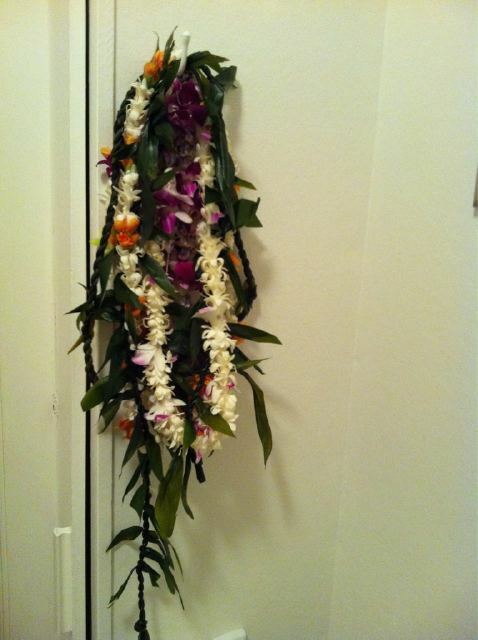 He included this photo of his birthday leis. Sunday night, Tyler ate a late dinner at Lahaina Grill, also a top-notch restaurant. We’re not certain who he was with Sunday night but as soon as we get word, this story will be updated. Happy Birthday Steven Tyler. Maui is quite pleased you spend so much time here. You once said, “If I couldn’t live in Boston, I’d live in Maui.” Hmmmm. Aloha. The Maui Zan crew. I love your website and I LOVE STEVEN TYLER! although i dont think he gets on twitter that much… But ya gotta love him! you seem to be pretty awesome to lol! is he still on the island? despite the operations on your throat you still rock and a voice like no-other. Mahalo for visiting my blog. Great phtoos of the concert, you must have a really good camera, my phone took mostly blurred phtoos with all the lighting. Fantastic concert!!! Love the MACC and the new pavillion.